Well, for one thing, it looks like it means Nightwing toy bakeware, so there's that. All it takes is one little trademark, and everyone loses their minds! DC (not Warner) has filed a trademark for an image/logo to be slapped all over merchandise that is described as “Nightwing on bat,” which sounds like the comic’s current logo. Marketing preparation likely means something for Nightwing, and we’ve got a few theories. Of course, the big conclusion everyone is going to jump to here is that Nightwing will appear in the Man of Steel sequel we currently know only as Batman vs. Superman. 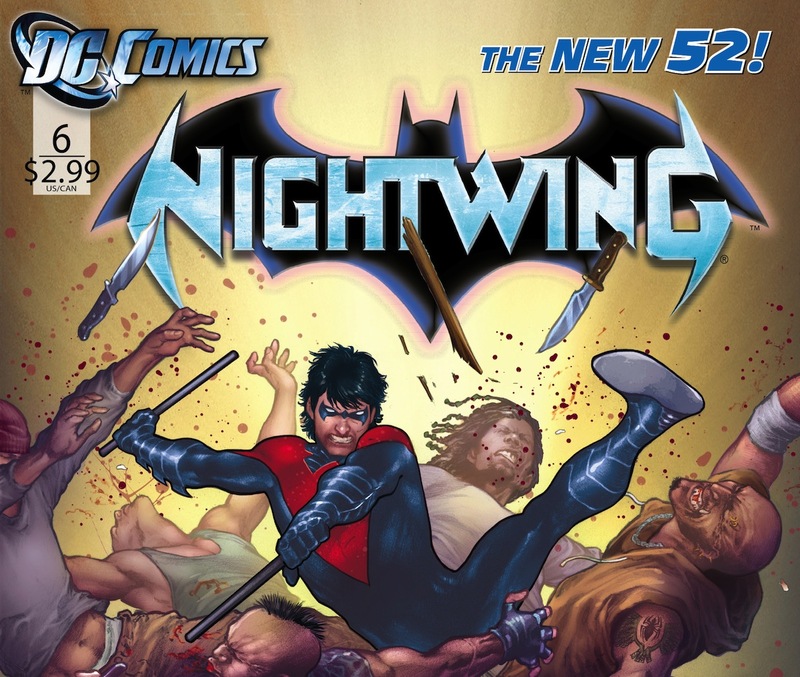 While it’s easy to get carried away after Warner registered some domain names that might give us an insight into the movie’s (potentially awful) title, it’s important to remember that DC registered the Nightwing trademark, which is a lot less conclusive as to where he’ll show up. That’s not to say that it’s impossible that this is related to the Batman vs. Superman movie, but you might want to hold off getting the party hats out just yet. Although, we did recently see a tweet from Warner film producer Daniel Alter that makes us think that Nightwing would be more likely to appear in the movie than a traditional Robin, at least. Can’t wait for #BatmanvsSuperman.. #batfleck semi-retired/not speaking to Robin anymore.. Controlling drones from the batcave. If the two being estranged is a plot point in the film worth mentioning, there’s a chance he might show up, and showing up as Nightwing would make a lot more sense at that point. Of course, their relationship could just be mentioned in the movie, which would set up for Nightwing to have his own film as the DC film universe expands. Either way, this might not be the proof we’ll get Nightwing in a movie we were hoping, but it certainly doesn’t rule it out. Arrow recently tied into the Batman mythology by introducing the League of Assasins. Then, actor Steven McQueen recently tweeted this, which we’re not sure whether he means he’s definitely playing Nightwing, or that he’s trying to tell them he’d like to. Who could blame him for trying? So… yeah. Securing the trademark to slap a Nightwing logo all over everyone’s stuff probably means DC is expecting something to stir interest in the character. It’s still unclear what, since the trademark is coming from DC, and they already, you know, own Nightwing. Arrow, Batman v Superman, Daniel Alter, DC Comics, Man of Steel 2, Nightwing, Warner Bros.